NETGEAR Orbi Home WiFi System. 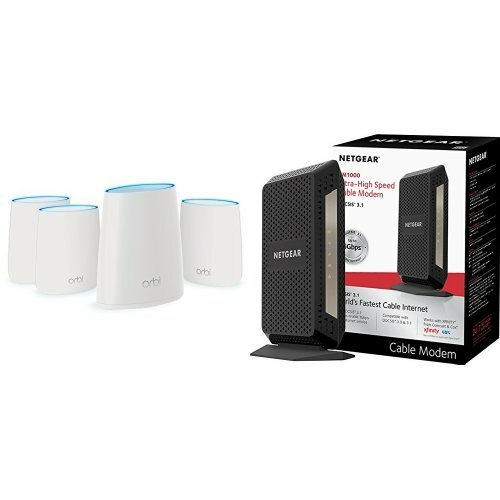 AC2200 Tri-Band Home Network (RBK44) with NETGEAR CM1000 DOCSIS 3.1 Ultra-High Speed Cable Modem. Certified for XFINITY by Comcast and Cox (CM1000) by NETGEAR at AABX. Hurry! Limited time offer. Offer valid only while supplies last.